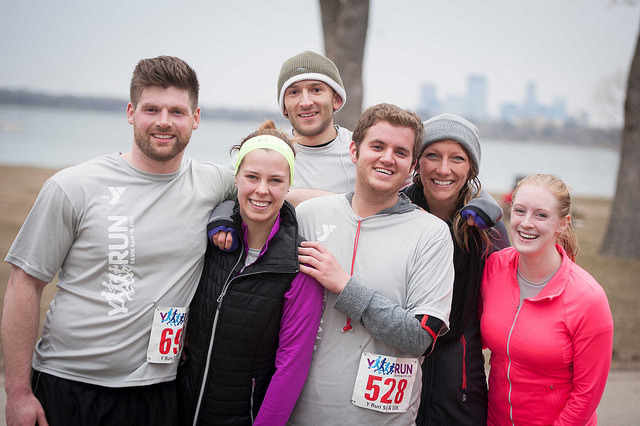 Road running, trail running, distance running, triathlons, 5k fun runs and 10k races— running has exploded in popularity in the Twin Cities, and throughout the country. Be more accountable—setting a workout date with others will make it harder for you to skip a run or walk. Stay motivated—if your tire or want to give up mid-run or walk, a buddy or two can help encourage you to keep on going. Have fun—if you’re working out with someone else, you know you have at least one thing in common—and you’ll have time to get to know each other along the route. Meet new people at a local running club—there are several in the area you can find with a quick web search or a look through your social media networks. Invite a coworker to get some fresh air over lunch with a walk or run outside. If the weather is bad, you can agree to hit the stairs in your office. Find an upcoming run/walk event like the and ask a friend or your family to register with you. Not only will you have company on the event day, but you’ll also have a built-in training buddy.